Move in Ready, freshly painted, new carpets. Located on second floor with pond views from the balcony. This 2 bedroom 2 bath condo is located in Highland Oaks within the gated community of Hunter's Green Country Club. Bedrooms are split with living room, dining combo and Kitchen at the center. Unit has washer/dryer in a separate laundry room, perfect for additional storage space. Highland Oaks offers a large community pool and a renovated fitness center. In the Hunter's Green community park you have access to tennis courts, playground, soccer field, basketball court, and walking and fitness trails. 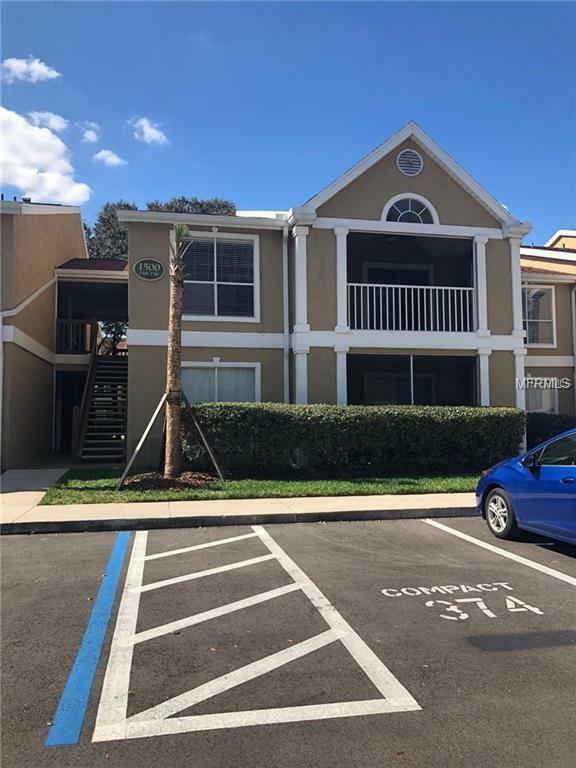 Hunter's Green is central to New Tampa with easy access to I-75, USF, Florida Hospital, VA Hospital, Flatwoods Wilderness Park, Wiregrass Mall, Outlet Mall and tons of restaurants. Easy application process!